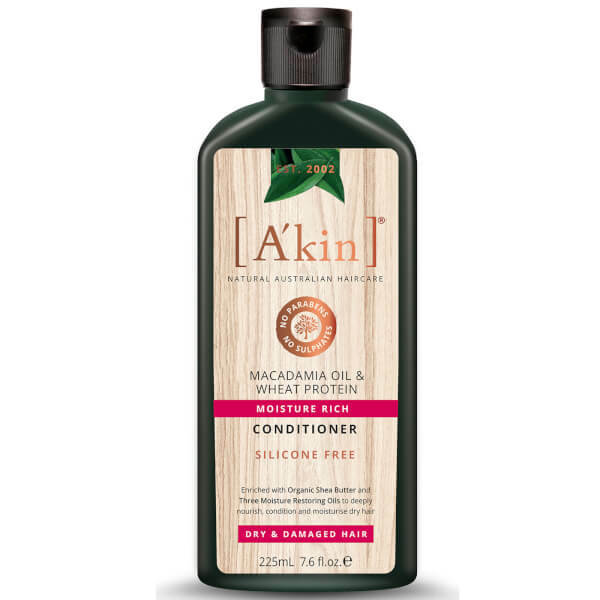 Strengthen and repair dry, damaged hair with A'Kin Moisture Rich Macadamia Oil & Wheat Protein Conditioner; a deeply nourishing formula that rejuvenates from root to tip. Harnessing the powers of Macadamia Oil, Organic Shea Butter and Wheat Protein, the creamy conditioner delivers weightless moisture and hydration, whilst fortifying weak strands to leave them smooth and healthy from root to tip. Hair feels soft, strong and cared for. +Certified organic. *From botanical source. #GMO free. ^Natural.